Tulalip Resort Casino, Quil Ceda Creek Casino and Tulalip Bingo & Slots have joined forces to present you with ONE – The One Card for All. This single card does it all – use it every time you play and you will be recognized and rewarded at all three casinos with the privileges you deserve! It's free to join - and no other casino gives you as many rewards or cash back! Membership is free to all guests 21 or older with a valid ID. An active ONE card and a matching photo ID are required for all club transactions, points redemption and promotions. Any earned comp values that go unused for 12 months will be automatically deducted from the Guest’s account. If there is no slot play account activity during a 12 month period, any slot points earned will be automatically deducted from the Guest’s account. When playing slots, it is the Guest’s responsibility to ensure that the card is inserted and accepted for play in slot machine. ONE rewards are valid only to those Guests who have earned them through their own play. Points earned through slot play by anyone other than the account holder will become void. Club accounts, cards and slot points are non-transferable. A minimum of $1 is required to download cash-back from any slot machine, which is equivalent to 100 points. Vouchers must be redeemed within 24 hours of issuance. Points are for individual members and may not be combined with a spouse or other member. Any misuse of your ONE card membership may result in permanent inactivation. Management reserves the right to cancel or change Club Benefits, rules or regulations without prior notice. Tier statuses will be assessed twice a year based on two periods: July 15 – January 14 and January 15 – July 14. Once tier status has been achieved, the applicable benefits will begin immediately. The guest will remain in the achieved tier for the remainder of the current period, and the entire period immediately following. It is the Guest’s responsibility to maintain their status by the following original start period, or be subject to tier reallocation. 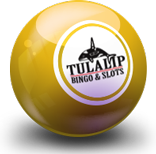 In order for Tulalip Gaming Organization (TGO) to release this information each customer is required to submit a signed request. The win loss statements are only available for ONE club card members. TGO does not track play that is not associated with a customer’s player’s card account. Download the Win/Loss form found to the left. Your ONE club number, if known. Check how you would like to receive your Win/Loss letter. Please feel free to direct any questions to the ONE club supervisors by calling 360-716-2100. For Tax questions, please contact our Guest Tax Help Line by calling 360-716-1829. For copies of your 2016 or 2017 W-2G’s please click here to download your tax forms. For copies of your 1042S, 1099, and prior year W-2G gaming tax forms, please call 360-716-1320.